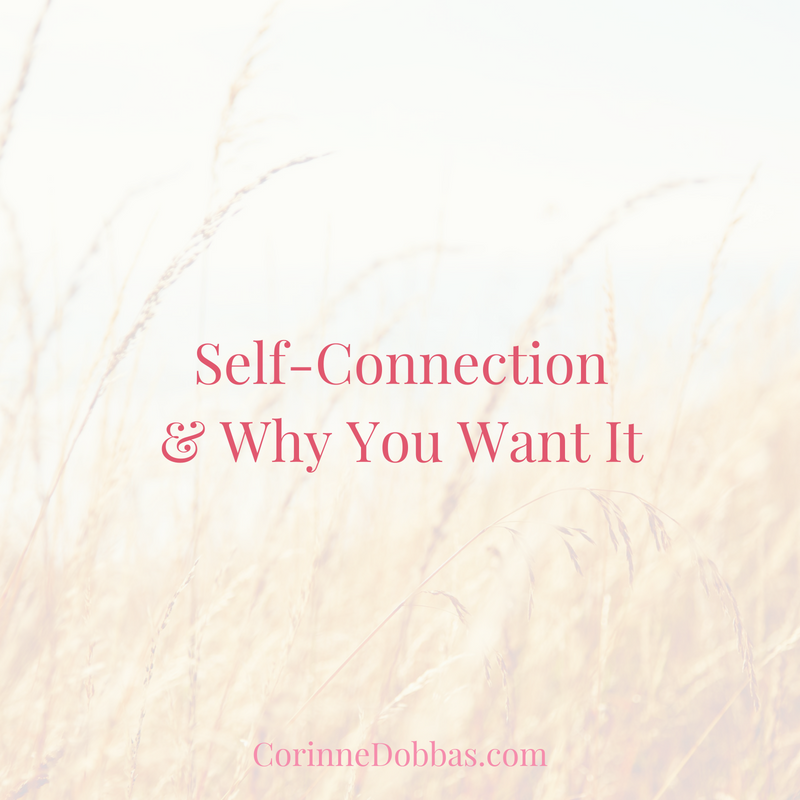 More importantly, what does a connection with yourself mean to you? Connection – or rather the lack of it (not only with others but with ourselves) – has been a running theme this week with clients and in my group programs. While I don’t have all the answers (who does? ), I do have some thoughts on how we can get more of it. Some may be surprised to know that morning time – the still quiet, super early, I-can-see-the-sunrise-coming-up morning time – is currently one of my favorite times. My husband goes to work. My dogs go back to sleep. And my cat quietly paces around the house. In typical fashion, I sit at the kitchen table… Even with my “new” office in our home, I still (for the most part) plop on the kitchen table… I write, answer client emails, journal, make a to-do list, set an intention for the day, or sometimes just doodle. I know this still quiet “me time” won’t last forever. In fact, I give it about another 12 weeks or so until baby girl comes. But it’s what works for now and now is all we can really look at. This little bit of time in the day for me is about connection. Specifically, self-connection. It’s important for my soul, especially because I recharge alone. This connection with ourselves is one of the most fundamental parts of our being. Without it, we don’t really know ourselves, and we’re more likely to let others determine our worth. And we’re way more likely to fall into that compare-and-despair trap because we’re so busy looking at others – looking outside ourselves – for approval. It’s here, when we fall in this mind trap, that we forget that we don’t need approval at all. But again… We can’t do this without feeling connected with ourselves…. I often share with my clients that without reflection, we can’t have awareness or observation in our lives. And observation is power for change. My little morning “me time” mentioned above, serves as observation and connection time for me. Even if it’s just 5 minutes. That 5 minutes can be a powerful 5 minutes to check-in and create clarity and an intention for my day. 5 minutes (or however many minutes) can go a long way for you too. So often – as perfectionists or “want-to-be perfectionists” – we think it has to look a certain way. I often hear that 2, 5, or 10 minutes “isn’t enough.” Or, if it’s not an everyday thing that it doesn’t count. That “it” has to look a certain way. Can I fill you in on a secret – there is NO “way.” There is no “perfect journey.” This goes for whether you’re trying to heal your relationship with food and your body or heal your heart and find love and deeper relationships in your life. Instead, there are LOTS of different ways, paths, bumps, and detours along the road to healing, and it’s your job to just get curious (remove the judgment and self-criticism) and learn about yourself and what works for you. But again, we can’t do that without a connection with ourselves. SO…. Why am I hammering on this concept so much? Dating from a place of power and “Do I even like them?” Instead of looking for a partner to become empowered and asking, “Do they like me?” There’s a BIG difference! The deeper and deeper you go into building a connection with yourself, the deeper the layers in your journey unravel, and the more you begin to understand yourself. And THIS is the place where you can start having more fun, finding more peace, and stop taking yourself, or your “mistakes” so seriously. And this goes a long way in your healing journey. What you’ll ultimately find is that with just a little quiet time – it can be in nature, at home, or even in your car – you can begin to breathe, like REALLY deep-belly breathe, tune-in to yourself and remember that you’re part of something so much bigger. That tomorrow is a new day. AND that everything you need is already right there inside of you. Because it is. You just need to take a step back and breathe. In other words, you’ve got this. You can do hard things. AND… You can do things that bring you joy too. Your mission is simply to find a little time in your day to check-in with YOU. Grab a journal and write. Listen to your favorite podcast and get inspired. Spend 2 minutes and set an intention in the morning. Go on a walk and feel your heart beating. Take a bath and ask yourself, “What’s really important to me right now?” Doodle and make a list of the things you’re proud of that you did that day. Download a free meditation app and breathe. Go to a yoga class (and keep going) and remind yourself that you are so much more than just a physical being. Schedule a date with a friend and laugh! Join a class and learn. Because without this connection, we forget who we are as a human being (not just a human doing). And we can lose sight of what’s really important to us, our hopes, dreams, and desires, and we can forget that we’re all just here trying to do the best we can with what we know with where we are… That goes for you too. So give yourself a break, OK?